Home / News / The Presidential Library will develop cooperation with the Center "Russia is My History"
The Presidential Library will develop cooperation with the Center "Russia is My History"
The Presidential Library signed an agreement on cooperation with the St. Petersburg multimedia museum and exhibition center "Russia is My History". This was announced at the meeting of the Director General of the Presidential Library Alexander Vershinin with the media leaders. The main theme of the Presidential Library - the history of Russian statehood - is consonant with the idea of ​​the museum "Russia is My History". During the meeting, a proposal was made to open a remote access center to the Presidential Library resources on the site of the museum. "When a visitor comes to the museum and wants to clarify some information, he will immediately be able to look into the electronic resources of the Presidential Library", - said Alexander Vershinin. It should be noted that currently the Presidential Library is represented in all regions of the Russian Federation. More than 500 centers for remote access to information resources of the Presidential Library successfully operate throughout Russia. For the first time this year the meeting of the Director General in St. Petersburg was held in the framework of a teleconference with other regions of Russia. 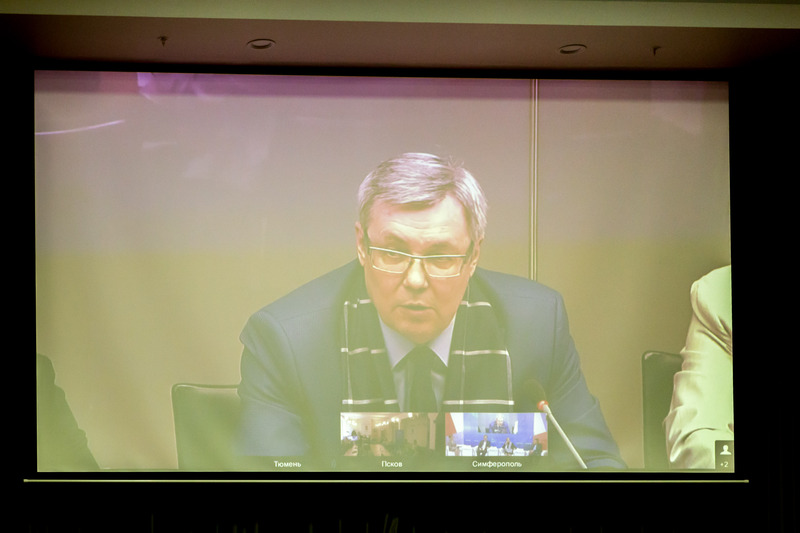 Participants in video-conference communication were Pskov, Tyumen, Simferopol. Elena Krylova, adviser to the Presidential Affairs Manager of the Russian Federation, noted: "Within the framework of the regions' interaction, new projects will emerge that will help us learn more about our country, its history and modernity. I'm sure that the Presidential Library will support such ideas in information, organization and creative way". The Presidential Library is open to the public, for new partners and new prospects for cooperation. Director General of the Presidential Library Alexander Vershinin suggested considering the possibility of creating a remote access center in the historic park "Russia is My History" in the Tyumen region, which was positively received by Tyumen colleagues, among whom was Pavel Shaforost, director of the historical park in the Tyumen region. 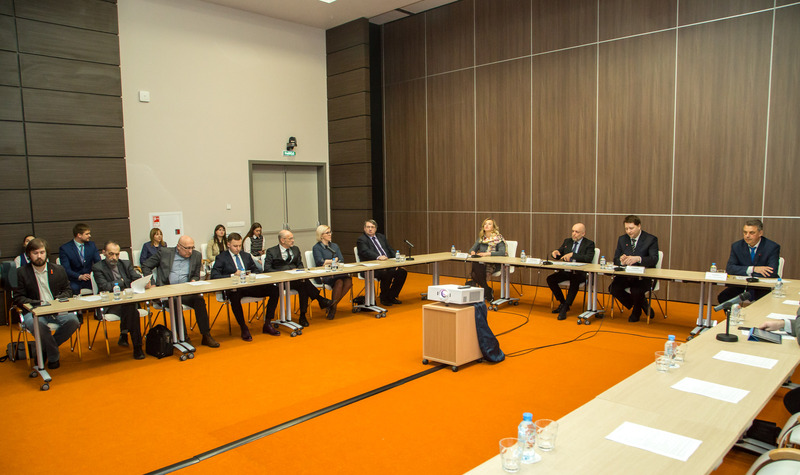 In turn, Alexander Novopashin, an adviser to the governor of the Tyumen region on special projects in the field of media and information, stressed that Tyumen was ready to get involved in the work. "Moreover, we offer joint thematic exhibitions, including an exposition dedicated to the 25th anniversary of the Constitution of the Russian Federation, as part of the work of the historical park "Russia is My History", Alexander Novopashin said. Alexander Vershinin as the first exhibit offered to transfer to Tyumen a software product prepared by the Presidential Library - a 3D tour, which is posted on the Internet resource "Electronic Museum of the Constitutional History of Russia". The new multimedia product not only allows you to get familiar with the interior of one of the most beautiful halls of the historic building of the Holy Synod, but also to study a permanent exposition dedicated to the history of constitutional ideas in Russia since 1905 and, in particular, the adoption of the country's basic law - the Constitution of the Russian Federation. Thanks to modern multimedia equipment, everyone can virtually flip through the pages of a copy of the inauguration copy of the Constitution, presented by the President of Russia on the opening day of the library - May 27, 2009. Also, visitors of the virtual exhibition can see digital copies of documents marked by the highest official of the country, videos about the inauguration ceremonies of the President of the Russian Federation of different years, as well as digitized subscription lists that the heads of state filled after taking the oath. The participants of the conference agreed that such meetings and videoconferences, which unite historians, writers and journalists from different parts of the country, can help to fight against false history and attempts to disseminate incorrect information.